On September 5, 6, and 7, GUY Engineering’s bridge inspectors inspected three City of Tulsa bridges that span the Arkansas River. 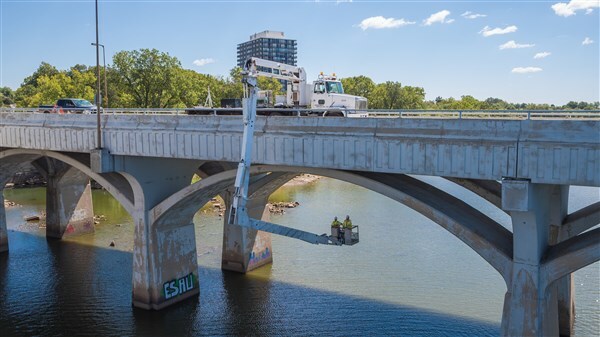 These large bridges required the use of a snooper truck for a thorough inspection. Click here to see a video of the inspectors on the 71st St bridge.